Hal ku dheg: "Midnimada iyo rumaysad, nabad iyo Horumarka"
↑ 2.0 2.1 "Publications | CMS" (PDF). Cms.int. Retrieved 2014-07-16. 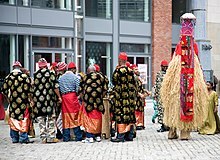 ↑ "Ethnic groups - Nigeria - area". Nationsencyclopedia.com. Retrieved 2014-07-28. ↑ A Glance at Africa - Njoki N. Wane - Google Books. Books.google.ca. http://books.google.ca/books?id=BSyMf6m6E9wC&pg=PA66&dq=Yoruba++21%25;+Ibo+18%25;+Fulani+12%25;+Ijaw+10%25;&hl=en&sa=X&ei=9EfBUuDyCuSqyAHo84HoCw&ved=0CDAQ6AEwAA#v=onepage&q=Yoruba%20%2021%25%3B%20Ibo%2018%25%3B%20Fulani%2012%25%3B%20Ijaw%2010%25%3B&f=false. Retrieved 2014-07-28. 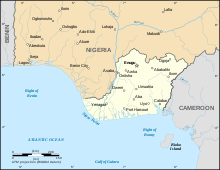 ↑ "|Nigeria|History|Country|Government|Politics|Map of Nigeria|Travel|". Myafricalinks.com. Retrieved 2014-07-28. ↑ Data. "GDP, PPP (current international $) | Data | Table". Data.worldbank.org. Retrieved 2014-07-16. ↑ Data. "GNI per capita, PPP (current international $) | Data | Table". Data.worldbank.org. Retrieved 2014-07-16. ↑ Data. "GDP (current US$) | Data | Table". Data.worldbank.org. Retrieved 2014-07-28. ↑ Research, Development. 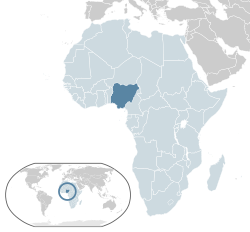 "Nigeria | Data". Data.worldbank.org. Retrieved 2014-07-16. Boggan waxaa markii ugu dambeysay wax laga bedelay 19:42, 29 Nofeembar 2018.